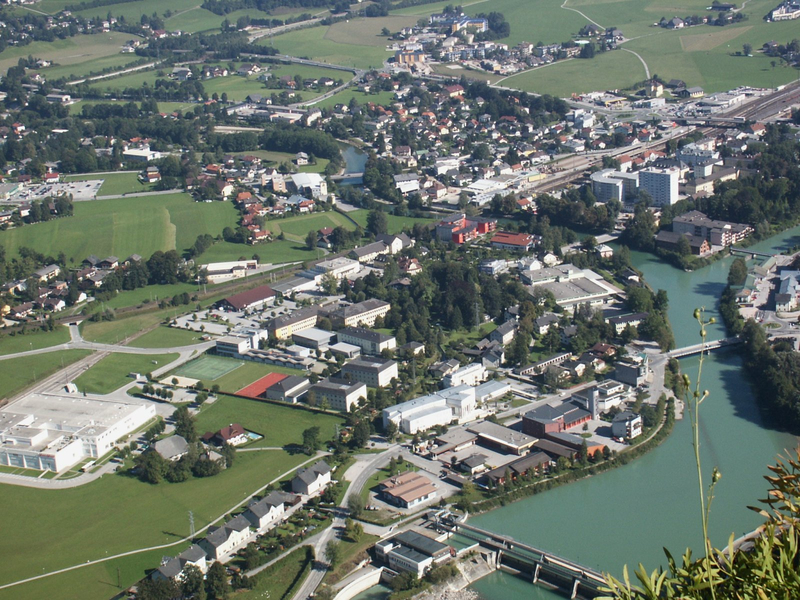 Cityscape layout with town and buildings in Hallein, Austria. Photo by Public Domain. Camera Maker: Minolta Co., Ltd.